Sometimes new homes are built so quickly that adequate care is not taken to secure the outlets properly. Besides being an eyesore, they can be dangerous. Wires can move around and come loose from the terminals, causing them to overheat and potentially catch fire. You can buy plastic spacers to tighten the connection or place small washers around the screws. If an electrical box is behind combustible material like wood paneling, sparks or heat from the wires can cause a fire. You can fix the problem by adding a plastic or metal box extension. This is another problem that many people may not notice themselves, but an experienced residential electrical service provider can find and easy fix. 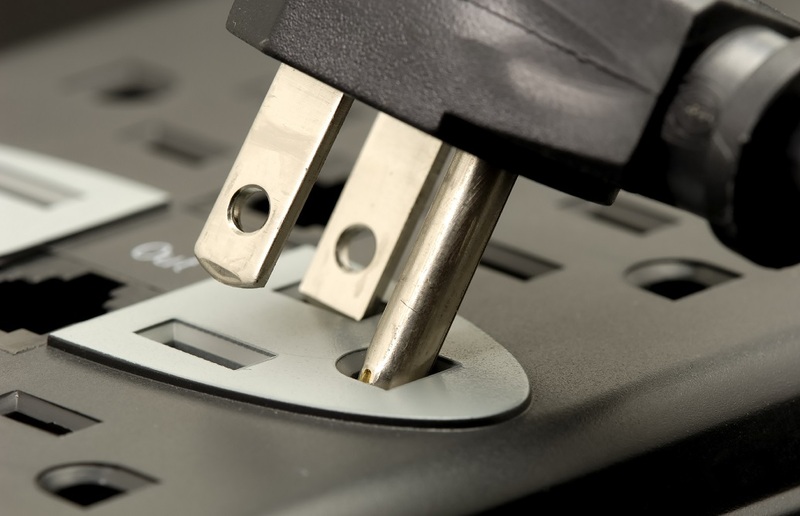 This can cause wires to short-circuit and can be a fire hazard. You can purchase a larger box. These come in plastic and steel. It requires some calculations involving the number of wires and clamps and knowing what gauge wire you have. If you choose to do this yourself, consult with someone at the store before going to purchase the box to make sure that you?re buying the right size. You may be able to take a clear photo of the wires and clamps to bring to the store with you. Ground fault circuit interrupters (GFCIs) are commonly found in bathrooms and kitchens near sinks and in areas like garages and patios. They protect people from getting shocked by shutting off in there?s a change in the current. GFCIs have two sets of terminals labeled ?line? and ?load.? If these are backwards, they cannot perform their intended function and the results can be deadly. If you discover that the connections are backwards, connect the power to the ?line? terminals. This is a crucial thing to fix, so if you have any concerns about doing it yourself, contact us to have one of our Knoxville or Atlanta electrical contractors do it. It is also something we can check on a regular inspection. If you find this situation, connect the white wire to the neutral terminal (marked by a silver or light-colored screw) and the hot wire to the other terminal. If there is a bare copper wire or green wire, that?s the ground. It needs to be connected to a grounded box, ground wire or the green grounding screw. Cable must be secured with a clamp. If it?s not, the connections can become strained. This can be fixed by installing a clamp. If the cables are in a metal box, the sharp edges can cut the wires. Metal boxes must have an approved cable clamp. Plastic boxes have different requirements based on their size.